Join Veronika (Ronnie) Noize, the Marketing Coach, for an exciting preview of her outstanding DIY Marketing Center Mastermind program. 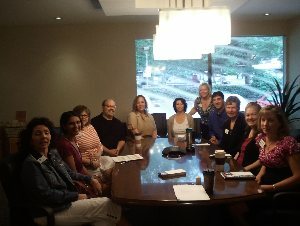 In this high-energy, participative and informative meeting, you will learn how to create the ultimate marketing lead-generating client-closing referral machine for your business. ==> WHO is your ideal, perfect, ready to pay-stay-and-refer client; WHAT to say to attract their attention; and WHERE to connect with them in an easy, low-cost manner. ==> What are the RIGHT THINGS to do that will bring you business without wasting your precious time, energy and money reserves. ==> And you'll get your questions answered! 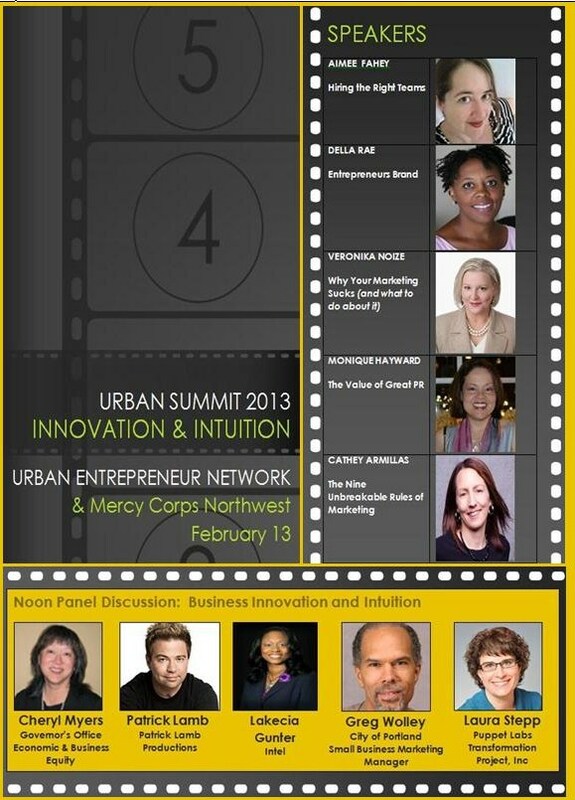 WHEN: Thursday, February 28, 2013, from 12-2 p.m.
Do You Hate [Bad] Marketing? Me, too! When people tell me that they "hate" marketing, they usually expect me to be shocked, defensive, or angry, so they are often surprised that I not only sympathize, but that I totally understand. You see, I also hate the same things that they think are marketing: hucksterism, manipulation, and/or relentless, merciless self-promotion. Great marketing feels (from the customer standpoint) terrific: like excitement about cool new stuff, relief that a problem can be solved, rewarding when the customer service is helpful, friendly, and fast. But bad marketing feels yucky. Marketing that is intrusive, abrasive, or aggressive, spewed at the world without regard to interest or permission of the recipient, gives all marketing a bad name. And like you, I hate that! It might surprise some folks to know that uninvited pest marketers aren't the only bad marketers out there--many truly decent, well-meaning businesses fail their customers and prospects by not marketing enough, well enough, or appropriately. The solution to this problem is to get educated, and to learn how to market correctly--with integrity, intention, and innovation. At the DIY Marketing Center, our mission is to educate business owners about what marketing is, and teach them how to do it right. Because if they don't know what marketing is, and how to do right, they are bound to get it wrong, which hurts their business. Do You Hate Bad Marketing? Me, too! (c) 2013 Veronika Noize. All rights reserved. Are you ready to learn 3 easy networking strategies that actually work? WHEN: Tuesday, February 12, 2013 from 9:30-11:30 a.m.
Do You Hate to Sell But Desperately Need Sales? Do you hate to "sell"--but desperately need sales now? What if you could close more sales...comfortably, easily, and confidently? For many small business owners, sales is necessary but not necessarily easy! If sales (or lack of sales), your comfort level with selling or simply know how to sell is holding you back, consider Jim Lorentzen's Soft Selling Sales Training. Because if what you need is a closing model, a sales script that works (and you're comfortable with! ), and the know-how to close the sale, you'll get all that plus tons more in Jim Lorentzen's Soft Selling Sales Training classes. Soft Selling gets rave reviews—just look at the results reported on the Soft Selling page here: 20%, 40%, and even 200% increases in sales! This sales training is perfect for introverts, business owners who hate to sell or are new to selling--your confidence and comfort with sales will go through the ROOF! What would your bottom line look like if you closed more sales THIS MONTH? How would that feel to you (it felt GREAT to me)? If you want you some of that sugar for yourself, sign up NOW--because this program carries an iron-clad no-worry 100% money-back guarantee, so you have nothing to lose and so much to gain. Jim Lorentzen's Soft Selling Sales Training starts Thursday, February 7, 2013.